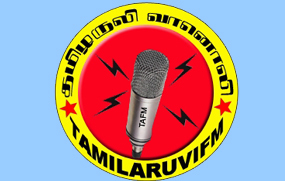 Tamil Aruvi FM is broadcasting in German and it is Tamil Language Radio Station. People around the world can listen it online 24 hrs. It is broadcasting good quality stream. Here you can enjoy this Fm Radio Station on 64 kbps. It broadcasts many entertaining and classical programs that are popular in all Tamil community. Here is live online stream is available for you so you can tune it on any time in 27/7 hrs any where in the world. Please wait for some moment while stream loads in the player..